This girl's legging set is sure to be a show-stopper! 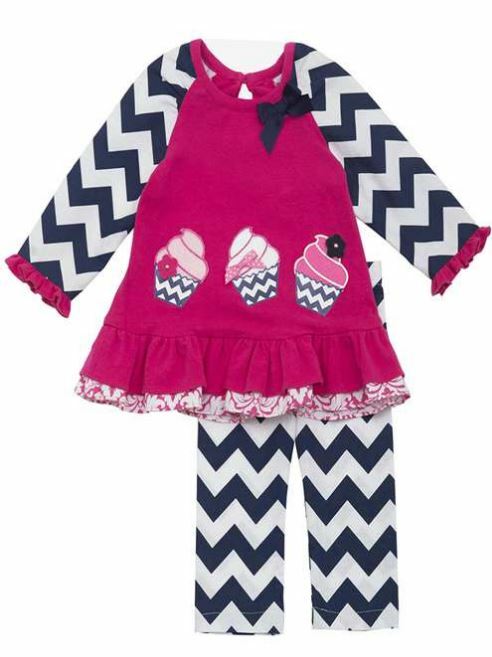 The set is a long chevron sleeved tunic that features colorful appliqued cupcakes. The accompanying chevron leggings complete this look! Perfect Outfit for your little girl!